A large part of the events surrounding Avengers: Infinity War involve Thanos acquiring all six of the infinity stones to enact his one goal. Surely with a smaller subset of infinity stones he would be able to achieve the goal he wants. Time seems pretty important, merely to stop people undoing what you did. Then with just Space and Power he should be able to seemingly instantly (time) zip across everywhere (space) to flip a coin and "delete" someone (power, arguably he could go without and use his own fists). He was dragging his army across space to do it all the long way, so he's no stranger to maximum effort. I like Skibisky's thoughts, that perhaps each stone plays its own role. I believe power has to be used to cause that disintegration, that's what I mean by "manipulate energy". Matter is a form of energy, organisms are made from matter — maybe the matter they are made of is being destroyed (thought impossible under conventional laws of physics). Or the energy binding them together is being manipulated. I don't actually think each stone fulfils a specific purpose like this though, I think it's simply that the change he wants to make is so large-scale that he needs to be able to manipulate the entire cosmos at once. Only all the stones brought together can do this. You suggest he use the time stone to "freeze" time as he journeys the universe killing people. I wonder if Thanos is worried he would get bored of this and lose his will to commit this genocide, or become mad in old-age (perhaps not physical but his mind would be ageing). Also, we have seen that the time stone seems to only work locally when used in isolation from the other stones. I think to alter the fabric of the universe, to make such massive changes on such a large scale, he truly needs all of the stones to work together, like they did when the universe was created. As much as he gets his own hands "dirty" (during the flashback), in the previous films (Avengers, Guardians of the Galaxy) he's been more than happy to let someone else (try) to do the work for him. If he has to do it, he may as well get it over and done with quickly. As shown in Avengers: Infinity Wars, Thanos seems to be taking his army planet-to-planet to do the 50/50 thing. Each additional infinity stone would be a dramatic boost to his efforts, but if he gets all of them, he can get it done quickly. Considering how close they got to stopping him when he didn't have all of the stones, if he was content with two or three stones, his plan could be stopped much sooner than he wanted. Demonstrated throughout the films, each stone seems to be really, really good at its one job. When used together with others, it's plausible that its effect can be exponentially increased. Discussing it with friends, we seem to pin it more towards what the extent of the power of each gem might be. All the other answers seem to miss the most important detail as to why Thanos wanted all Infinity Stones. Thanos himself gave the answer. It was mercy. When Thanos meets Dr. Strange, he shows his home Titan through reality stone. Thanos: It was once beautiful like any other planet but there were more mouths to feed than resources. So I suggested a plan. Thanos: Yes, but random, fair to the rich & poor. Thanos: I am a survivor. I intend to replicate that throughout the universe. And with all the Infinity Stones, I could do that with a snap of my fingers. I would call that mercy. Quotes aren't totally accurate but that's what he said. Using all the Infinity Stones, he could kill half the population of the universe with a snap. Nobody would feel pain & it would be merciful death. 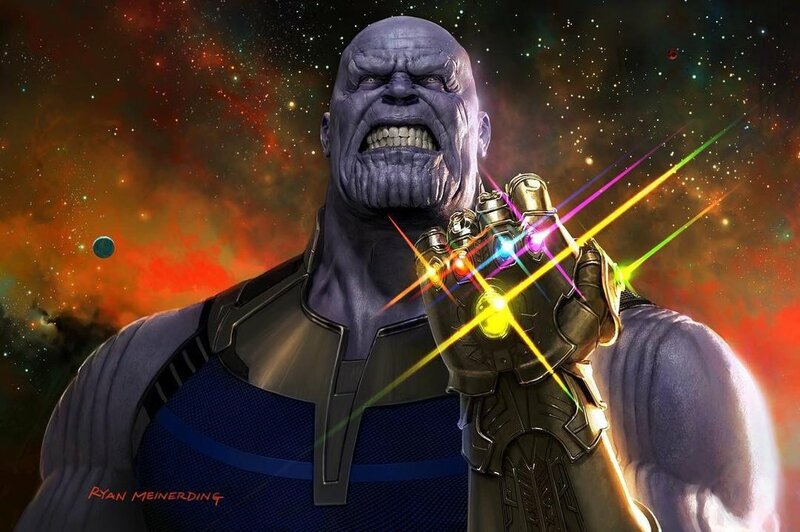 For Thanos to correctly and fully use the power of the gauntlet he needed all six of the stones to carry out his plan (to kill half the universe's population at the snap of his fingers**). The gauntlet was made by Eitri of Nidavellir – home of the dwarves. Eitri reveals that Thanos invaded and forced him to create the Infinity Gauntlet just for this purpose. Also, the Infinity Stones seem to be linked together, so when doing something of the magnitude that Thanos was doing, the whole six were needed. According to how the powers of the stones were shown in the movies, it seems that each individual stone is only able to impact a local space rather than a universal space when used separately. Thanos needed all six stones in order to complete his goal... It's his goal that seems to be misunderstood here. The MCU (I'm not including the comics) has gone to great lengths to show that Thanos believes himself to be doing the right thing on the grand universal scale. This all points to him thinking he is doing the right thing... maybe the clinically insance genocidal thing, but he obviously believes the needs of the many outweigh the needs of the few. Consider the size of the universe. Thanos wanted to enact his plan on every single populated planet in the universe. He was powerful enough to enact his plan on any planet he wanted, as seen by the fact that he killed half the population on Drax's and Gamora's home planets. However, doing this to a planet takes time. No matter how powerful he is, even with any 5 of the 6 stones, he has to spend some amount of time killing the population of a single planet. Imagine that he was so powerful that he could do this at a rate of 1 planet per minute; using the space stone to travel from planet to planet. There are an estimated 1,000,000,000,000,000,000,000 stars in the observable universe. If we assume that there is one inhabited planet for every one million stars (random guess / figure there); then it would take him 1,902,587,519 years to carry out his plan. That's if he literally went around killing people non-stop for that whole time. And that's just the observable universe; not the entire universe. With all 6 Infinity Stones; he would be able to accomplish that entire task instantly. So even if it took him thousands of years to collect the 6 stones; that would still be more efficient than doing it without them. How is Thanos able to hold almost all of the Infinity Stones barehanded? Are the Infinity Stones intentionally coloured in rainbow colours? Who Collected all the stones before thanos did?